Where do I find the TiltShift Aperture Plug-in? FAQs / Where do I find the TiltShift Aperture Plug-in? The Aperture Plug-in has been discontinued a long time ago by its original author due to a number of technical difficulties. It is no longer available for download or purchase. 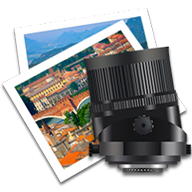 Users report that it no longer works on the current versions of Aperture and OS X Mavericks. If you liked the functionality, download and try out the demo version of the standalone app, it might very well work for you.